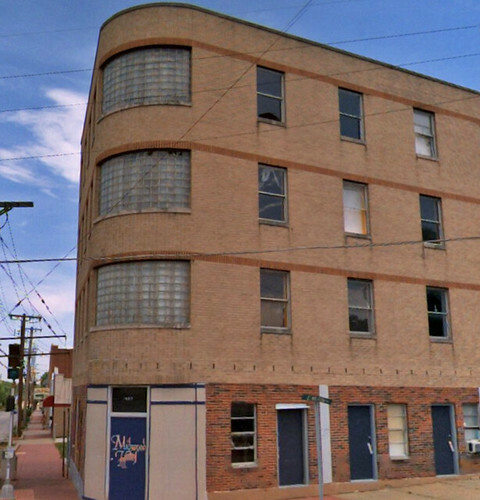 I learned today via the Preserving St. Louis Facebook page that the Midwood Hotel in downtown Overland is slated for demolition. 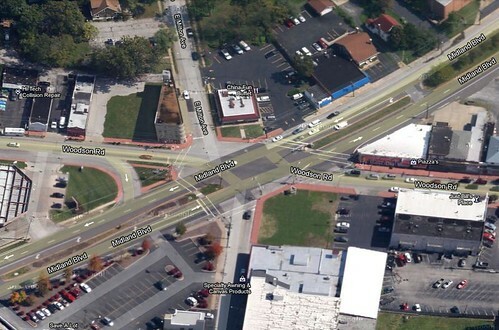 Apparently St. Louis County is planning to construct a roundabout at the six-way intersection of Midland Boulevard, Woodson Road and Milton Avenue. 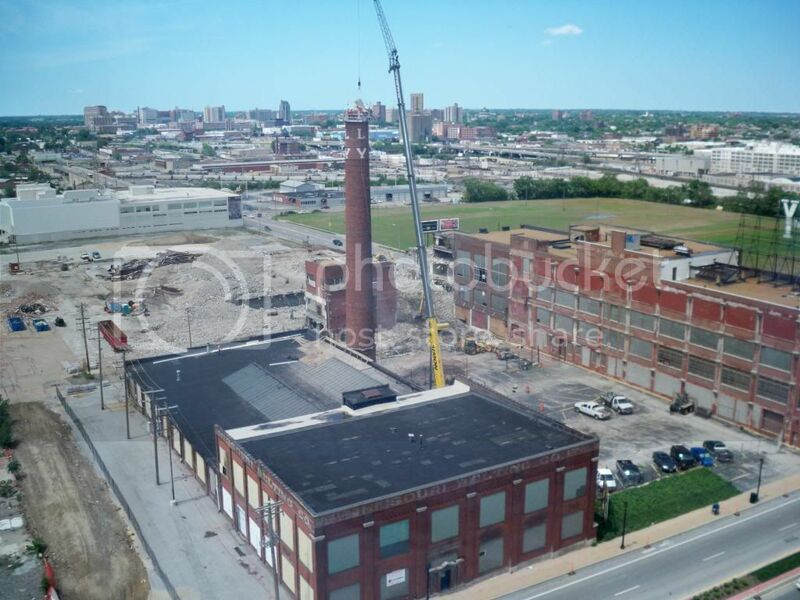 A photo from Emporis indicates that a few other buildings fronting Woodson may have already been demolished for the project. 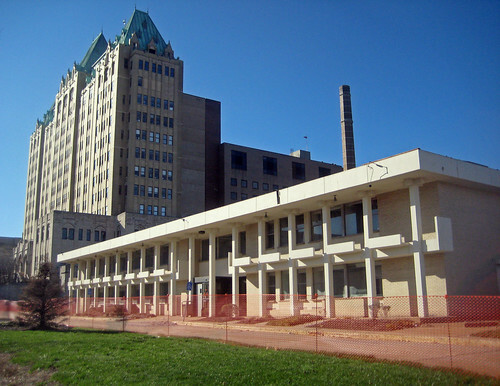 The building with its signature glass block rounded corner was constructed in 1956 according to St. Louis County property records. This is later than I had thought. If anyone knows differently, please comment. The joist pockets in the facade indicate that the canopy seen over an entrance near the rear of the building once wrapped the entire length of the street facing elevations. What would have been storefronts on the first floor had been converted to small hotel rooms. The building is a wedge shape that tapers down to less than ten feet wide at the alley. The intersection of Midland and Woodson is pretty bleak from an urban design perspective. The Midwood is really the one of the only buildings left that addresses the intersection in any direct manner, and its loss will further disconnect the already separated sections of the commercial district. 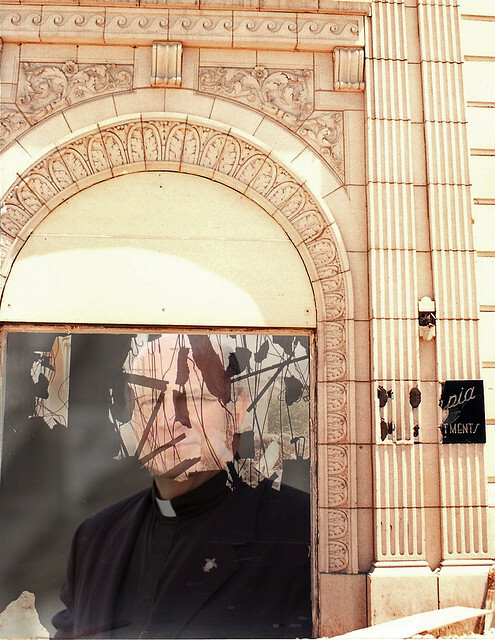 When the news of Biondi's recently announced resignation filtered through St. Louis, preservationists across the City no doubt cheered and/or let out a sigh of relief. It seemed appropriate though to take a look back at 20 years of demolitions brought about the wave of Biondi's hand. This is by no means a complete summary, and list of buildings that fell under his reign that I don't have photos for is probably as long (or longer) than this post. While Biondi can be credited with creating in some fashion a more unified campus setting for St. Louis University, the planning or lack thereof and a penchant for the 1960's style "wipe the slate clean" urban renewal mentality has resulted in buildings and a campus, especially south of the valley, that is far removed from its urban context on an isolated island. Hopefully his replacement will see things differently, that a college campus in an urban setting is a positive attribute, not one to fear. 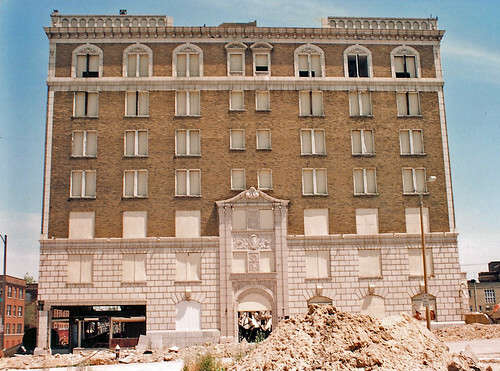 The Olympia Apartments at the northeast corner of West Pine and Vandeventer - Demolished in almost 20 years ago in June 1993. 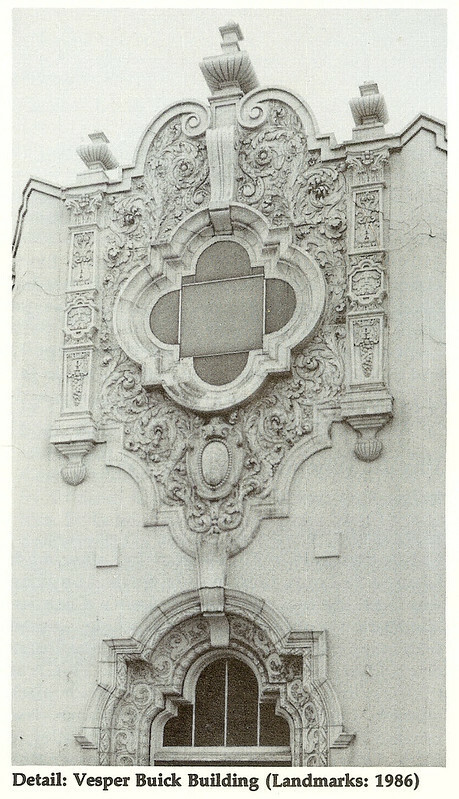 The building was listed on the National Register and would have made an excellent conversion to student apartments. Fortunately SLU decided to divest itself from the much larger Coronado Hotel around the corner on Lindell at Spring. Vesper Buick Building - Demolished in 1995 for a surface parking lot kitty corner to the surface parking lot on the Olympia site. This National Register listed building by architect Preston Bradshaw was an unusual example of the Spanish Colonial Revival style. 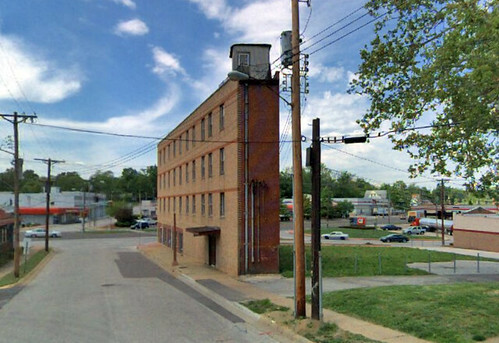 3740 Lindell Boulevard - Demolished in 2008 to provide an open space in front of a proposed expansion of the School of Law that never happened on the main campus. The law school will soon be moving into a donated office building on Tucker Boulevard that is nearing completion of a full renovation for its new use. 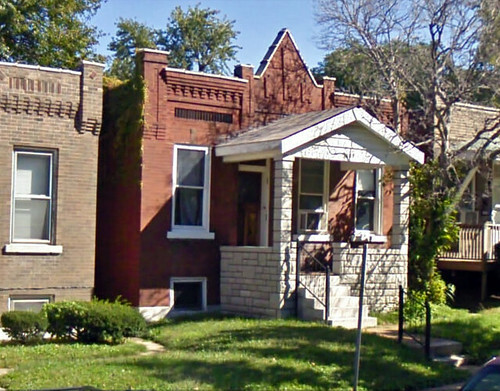 3740 Lindell is yet another case for holding the demolition permit until a building permit for the replacement is issued. 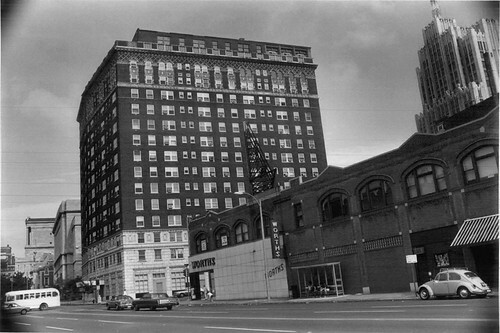 Marina Building at the northeast corner of Grand and Lindell - Demolished by SLU in 2002. 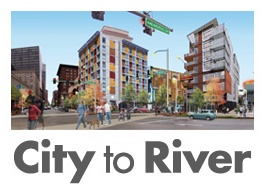 In 2004 SLU put out an RFP for redevelopment of the site but passed on all of the submissions. It remains a one acre combination sculpture and unofficial dog park at one of the more high profile intersections in the City. Locust Livery Stable at 3401 Locust - Demolished by SLU in 2007, this historic building built in 1885 fell to enlarge a surface parking lot in an area that has no lack of surface parking lots and is a block away from SLU's huge Compton Garage. 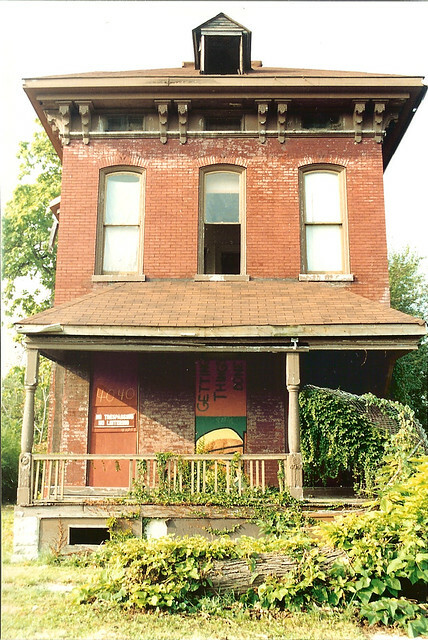 Wagner House at 3438 Samuel Shepard - Demolished by SLU in 2008 and remains a vacant lot just east of the beautifully rehabbed Stockton House. 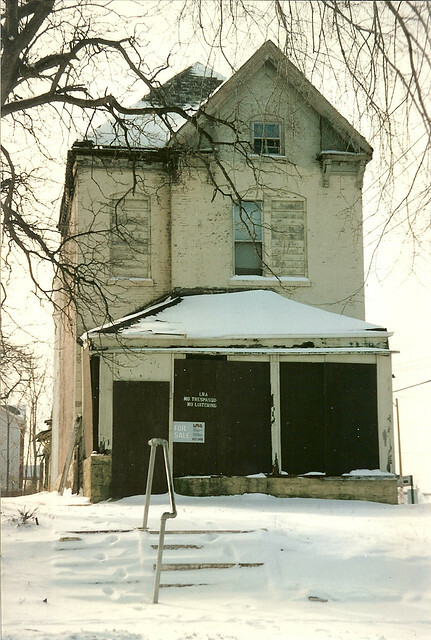 4040 Washington - Demolished in 1999 and replaced with green space and a small parking lot near the alley (that could have easily fit on adjacent vacant parcels). 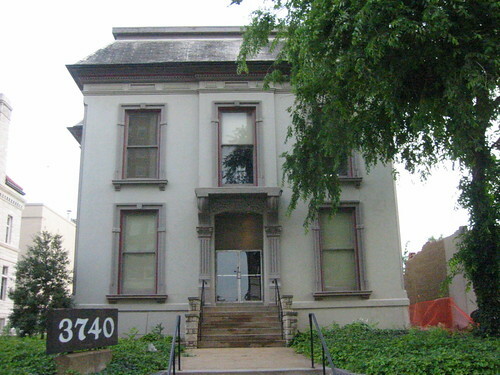 4068 Washington - demolished in 2004. Owned for many years and actually marketed by LRA until SLU purchased it... still a vacant lot at the corner of Washington and Sarah today. 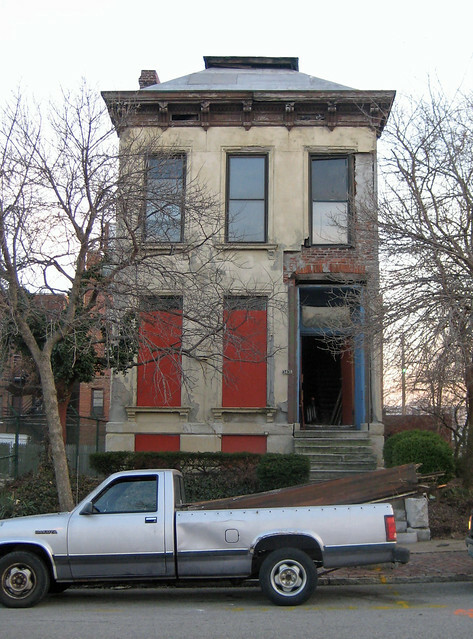 4056 Washington - This large mansion had been a run-down boarding house for many years but was purchase and almost completely rehabbed (minus some interior finish work) in 2004. 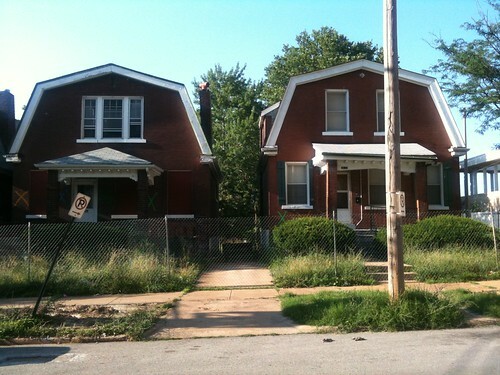 Four years later, SLU purchased the home and immediately demolished it. It is worth noting that the three homes above were less than 500 feet from the homebuilders "Citirama at Gaslight Square", an entire street of new homes that were built and sold (many upwards of $400,000+) starting in late 2004. 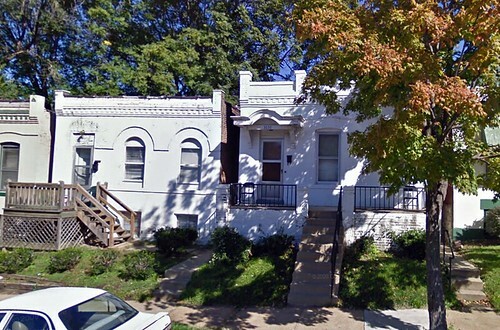 Many homes in the block of Washington west of Sarah have been fully rehabbed since this development. 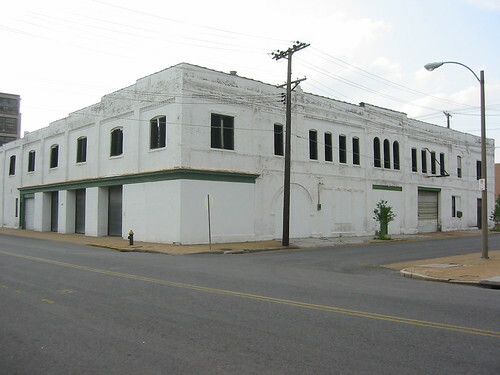 Pevely Dairy complex - Demolished in 2012 after the St. Louis Preservation Board denied demolition, but SLU appealed to the St. Louis Planning Commission, who ruled un SLU's favor. The office building at the corner remains as SLU has yet to move forward with the ambulatory care center which it argues absolutely requires every part of the Pevely complex to be obliterated. 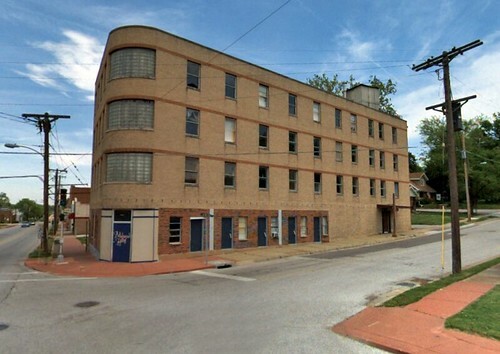 The complex, which was listed on the National Register had previously been purchased by a developer who planned to convert the buildings into loft apartments. Photo above by Underground Ozarks. 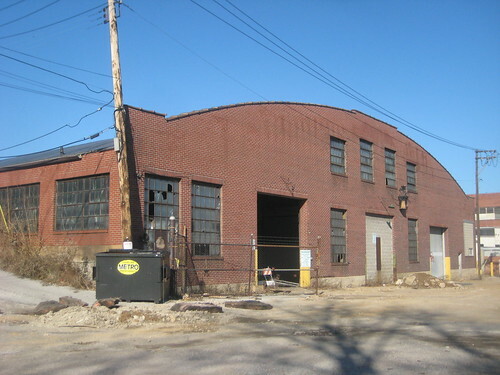 The former Pevely delivery truck garage, one of the buildings demolished. 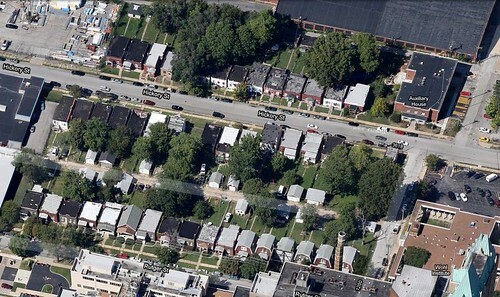 Single family homes in the 36xx blocks of Hickory and Rutger - Demolished by SLU in 2011 for an initial plan for a new ambulatory care center. When SLU was then able to acquire the Pevely Dairy complex, plans for the yet to be built ambulatory care center moved north. How long will this ground sit vacant? More photos of the homes below. David P. Wohl Sr. Mental Health Institute - Demolished in late 2011. Just east of the homes above, this was another casualty of the mythical ambulatory care center plan. With its landscaped interior courtyards, this building by architect Gyo Obata was considered cutting edge for the treatment of psychiatric patients when it was opened in 1962, and still served this purpose well until just a few years ago. 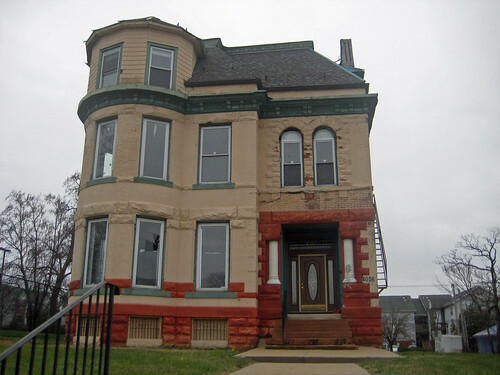 The Book House is holding a rally this Tuesday, May 7 at 6:00 pm to save the historic Gothic Revival house that has been threatened with demolition this summer. 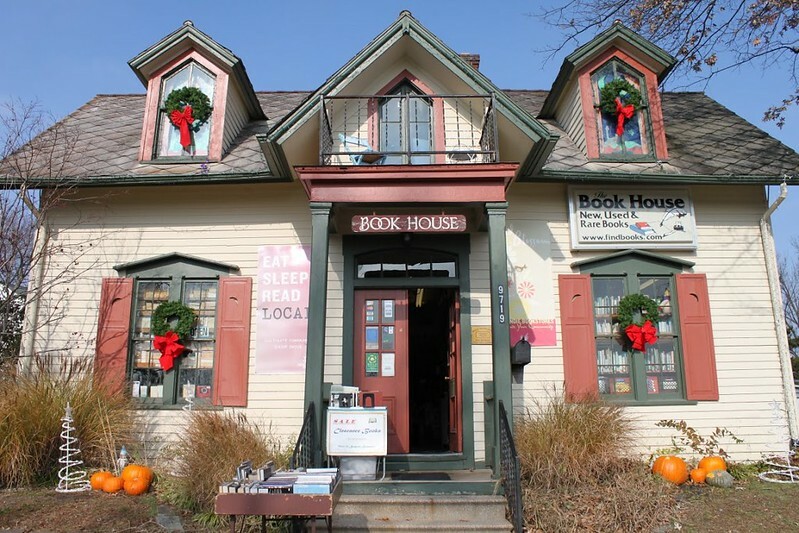 Please come show your support for this rare structure that has stood on Manchester Road since the Civil War and for the independent book store that has been housed here for over 27 years. RSVP for the rally on Facebook here. Also, a Save the Book House Facebook group has been created.